Sharon wanted an area in the Corner where two people could converse and not disturb any one else. 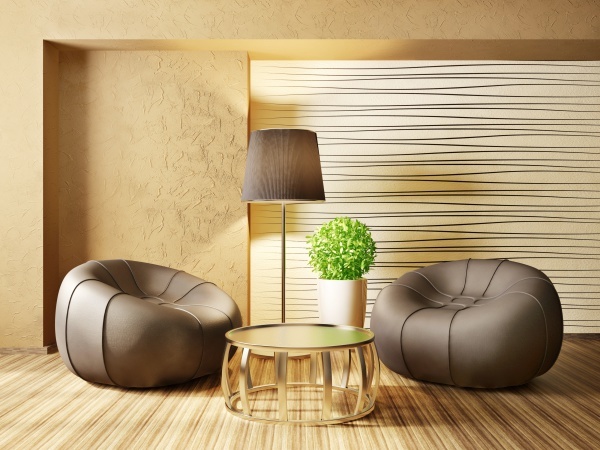 The leather "bean bag chairs" are fun yet elegant! 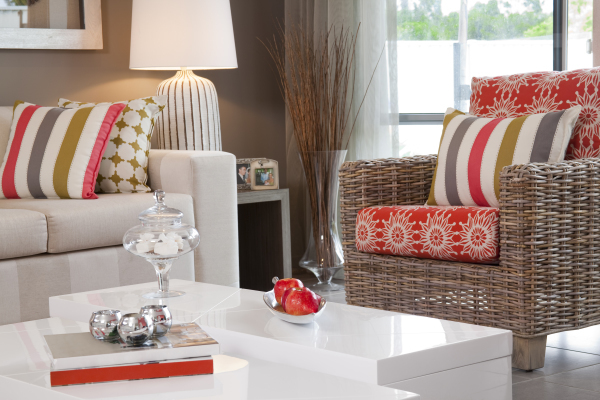 Bright & Cheery, Colorful & Inviting! Exactly what the client ordered! 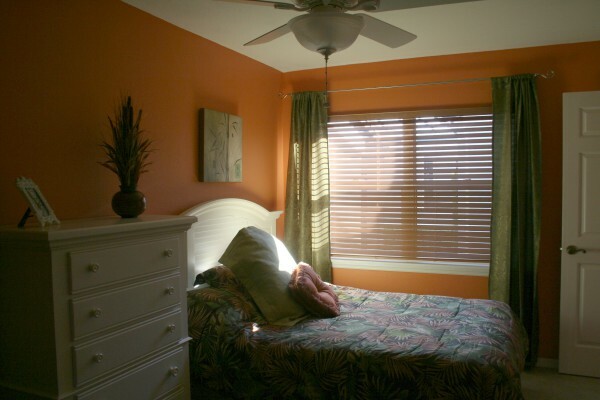 Tina spends winters in Florida, and wanted a taste of Sunshine in her home here in VA. Designed for living and gathering with family and friends. 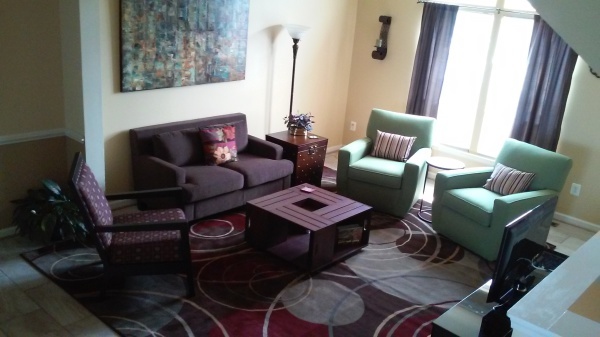 Paula wanted to create an adult space to enjoy with others or just to sit and watch TV. 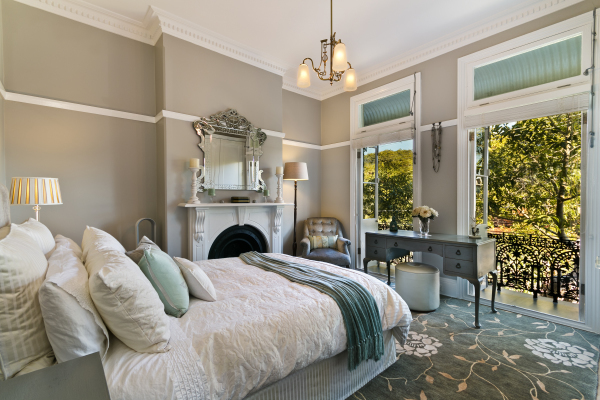 A soothing and relaxing bedroom to come home to after a hectic day! Jennifer wanted simple clean and crisp atmosphere which we softened with the sheer Roman shades and layered drapery panels. The artwork was so perfect for the decor it could've been commissioned; but it wasn't! Majestic and rich in color...this client wanted drama! The extensive ceiling decor was the inspiration this elegant setting! The teal however; steals the show! Perfect for a parliamentary meal! Claudia and Jeff needed a Happy place to wind down after a long day! Jeff works from home in his own business; and Claudia works with kids all day long. Peaceful, quiet and special were the top requirements! Looks like they got what they wanted! Kids are grown up and out of the house! Kathy decided she deserved to get the Living Room of her dreams. 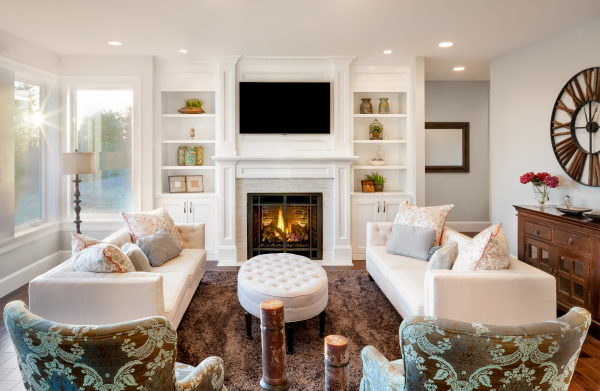 Always wanting a white sofa (or two) with the rich dark wood floors; this formal living room is comfortable and safe for adults! Karen's request; "I just want comfortable!" Easy enough request. 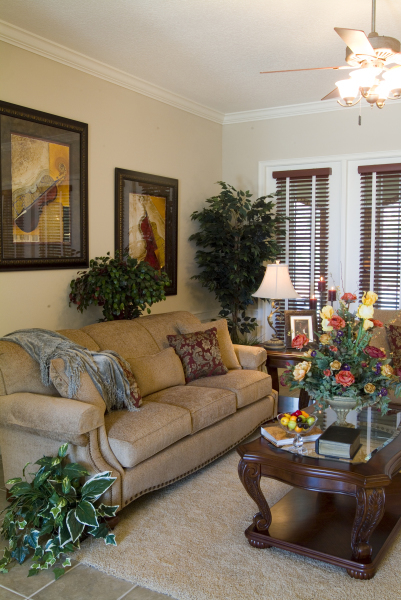 A neutral palate with a sofa you can sink into! Tina can't help herself...her husband's work is here; but, she would prefer to be elsewhere. So we brought the fabrics and textures of Florida up north to Vienna. It's her favorite room in the house! 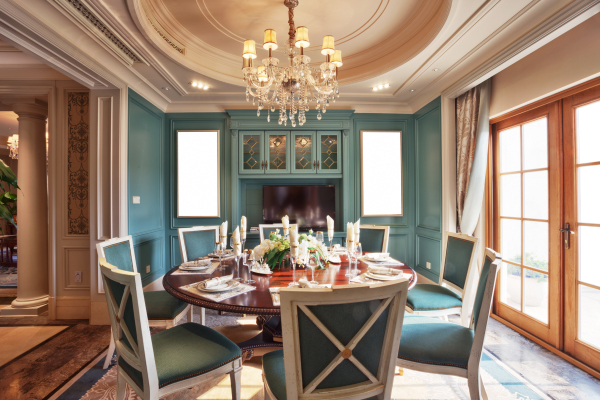 Liz does not entertain much; so she wanted her Dining Room to be a place where she could dress up or dress down. Mission accomplished! Diana wanted to keep her 4 poster bed even though she thought the look was outdated! But, it certainly looks up to date here. 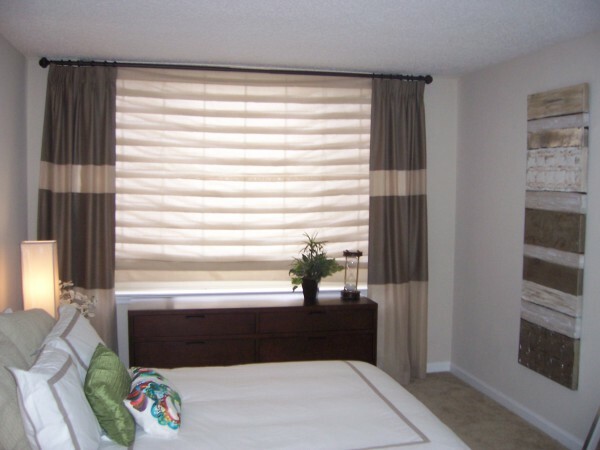 Updated window treatments, bedding, updated lamps and accessories plus that gorgeous upholstered bench and the transformation was simple and easy! The favorite room in the house for Sarina and Ben! A simple retreat with an almost spa - like atmosphere! The views are a Bonus! Cheryl is handicapped and needed a bathroom that was pretty and functional. So we removed the Tub so she did not have to step over any longer and added a bench seat so that she could put her walker to the side. Convenient shower shelf holds all her basic necessities! 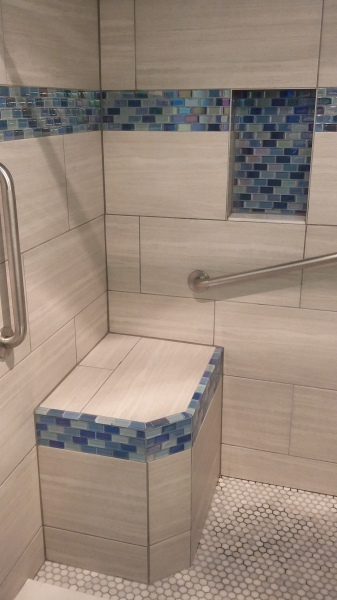 And even with the grab bars, this is not your typical handicapped bathroom! 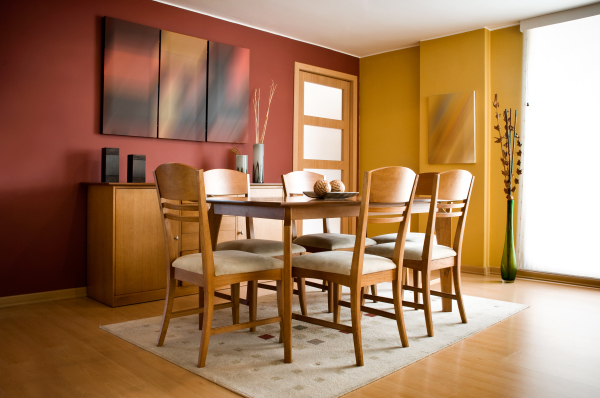 This multi textured Dining Room set was the perfect addition to Judy's empty Dining Room. Judy struggled with Dining Room sets that were either too big or looked to "kitchen-y"! 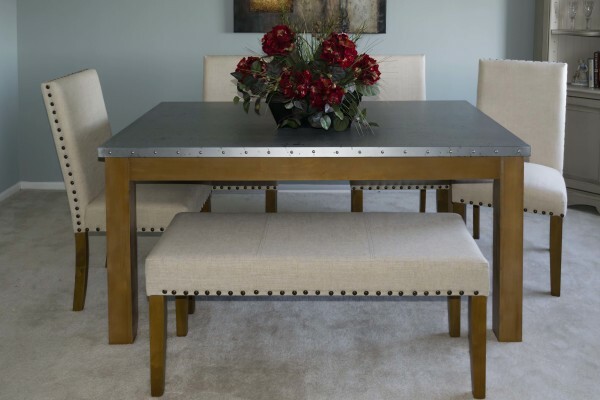 The best part is the aluminum table top which requires little to no maintenance! This is still a favorite room of mine...it's still relevant today! 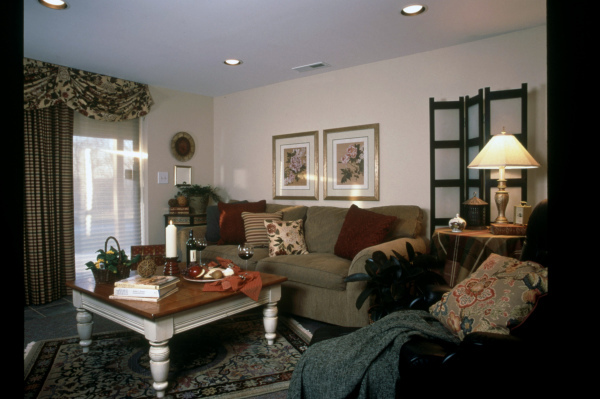 Abby and Alex had just bought this townhouse and wanted a cozy and comfortable family room to lounge in. Sometimes design is timeless!